Building in the healthcare sector can be challenging for a variety of reasons. One of the biggest challenges includes safety on active campuses during hospital additions and renovations. Interim Life Safety Measures, or ILSM, are put in place in order to protect the safety of patients, visitors, and staff who work in healthcare facilities. ILSM outline daily checklists so that project teams and hospital staff and their patients can move forward safely and efficiently. 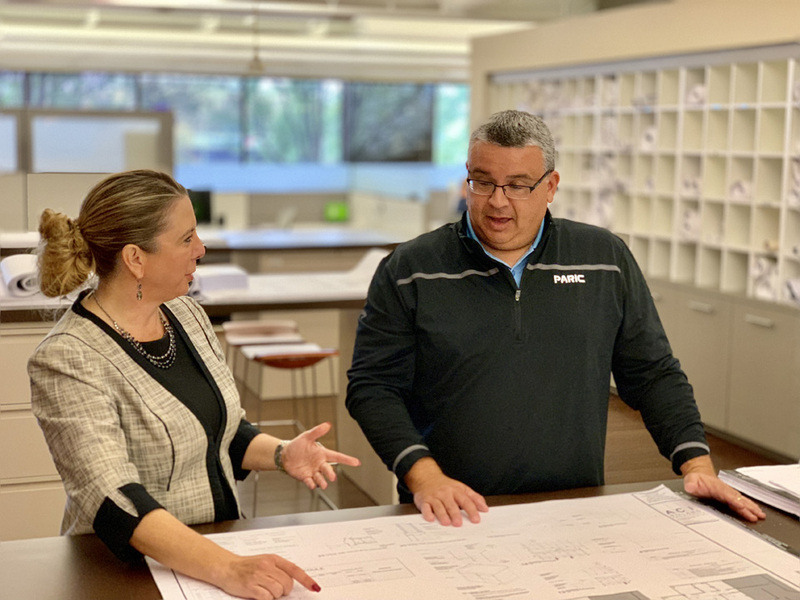 “When safety measures are skipped or corners get cut, the project can be hit with significant delays or even shut down completely,” says Stephanie Jeffries, a project executive for PARIC Corporation. Jeffries has over 23 years of experience in the construction industry with over 17 of those years focused within the healthcare sector. She has overseen nearly $1 billion in projects and has served as both an owners rep and a project executive on the contractors side.